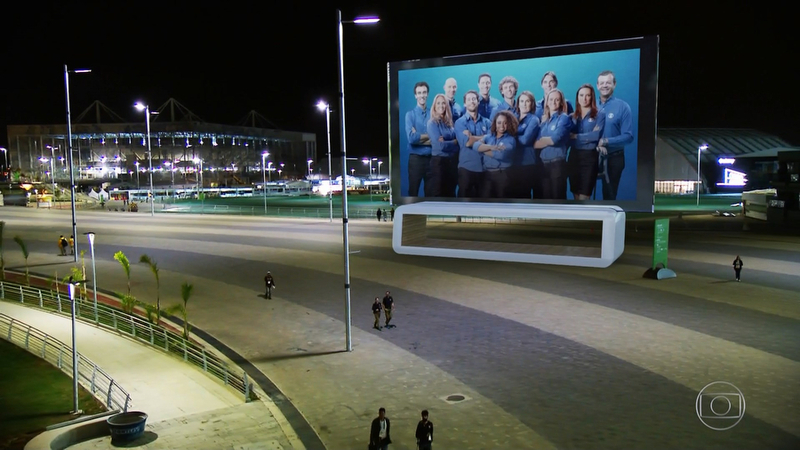 While the 2016 Summer Olympics in Rio don’t officially kickoff till Friday night with the Opening Ceremony, host-nation broadcasters Globo and SporTV have been rolling out plenty of tools to cover the games. 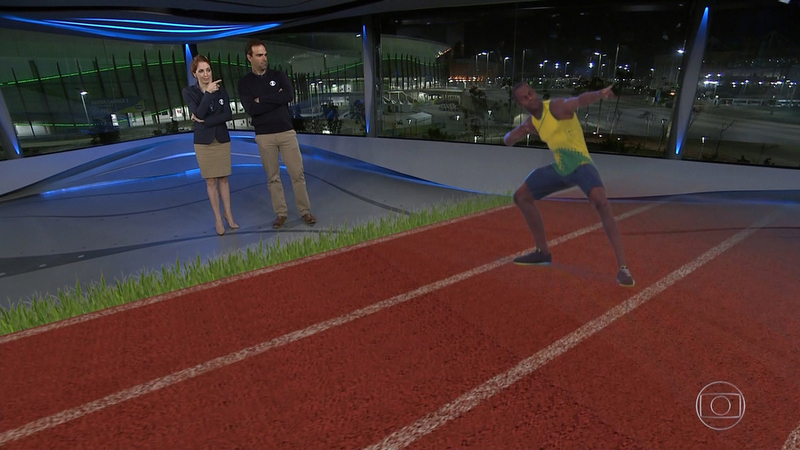 Along with a three story studio in Olympic Park, the networks have an array of augmented reality graphics at their disposal. These tools are part of a larger effort by Grupo Globo, the parent company of the broadcasters, aimed at growing the networks reach and keeping its number one ranking in Latin America. 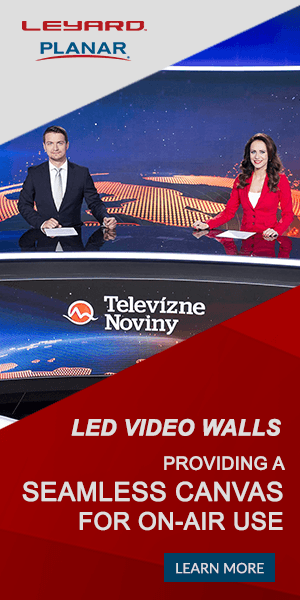 The augmented reality graphics range from your typical insert-graphics of stats and data points to 3D captures of players that come to life in the studio. These virtual players can also be inserted around the exterior of the building, along with floating monitors (similar to the presentation of the “NBA on TNT”). 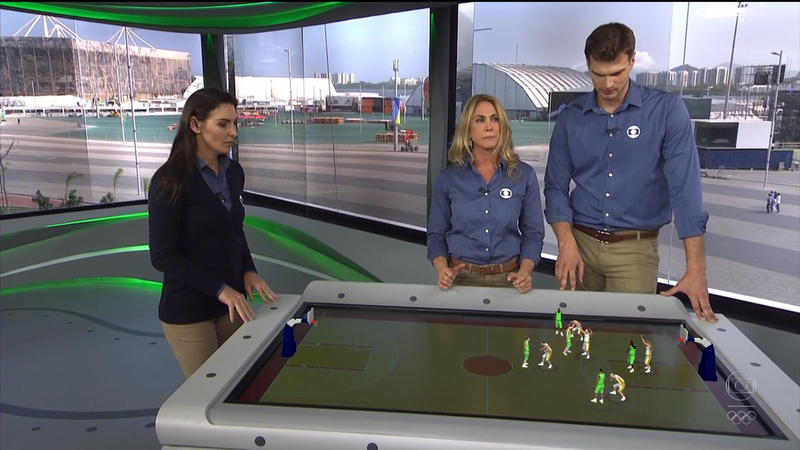 Globo also has a touchscreen table, where presenters can interact with virtual figures to demonstrate plays while telestrating the action and creating “what if” scenarios. Overall, these video-game like animations are aimed at keeping eyes on the broadcast longer, while also adding new ways to tell the story. NBC Sports will also use some VR for its broadcasts, part of a partnership with Samsung Galaxy.